The announcement that Syfy was working on a TV adaptation of James S.A. Corey’s acclaimed The Expanse books was one of the most exciting stories we’ve repeated on in a long time. 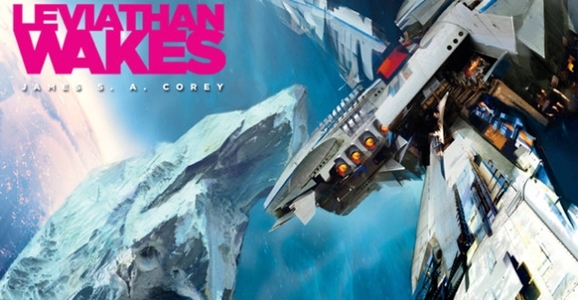 Leviathan Wakes is one of the best science fiction books I’ve read, period, and it made an instant fan out of me. The series, which began with Leviathan in 2011, has carried on through Caliban’s War in 2012, Abaddon’s Gate in 2013, and the upcoming Cibola Burn, due out on June 17. Now the book’s author — or rather, authors — has made an official statement about the Syfy Expanse series. The Expanse books were written by “James S.A. Corey”…which is actually a pseudonym for writers Daniel Abraham and Ty Franck. The series is set in a future where mankind has spread out through the solar system, but not yet managed insterstellar travel. An ice miner named James Holden makes a discovery that sets him on a path toward secrets that powerful people are willing to kill for, and which may fundamentally reshape the future of our species. Syfy has ordered a 10-episode first season of The Expanse, with Children of Men writers Mark Fergus and Hawk Ostby penning the pilot and serving as executive producers. As much as we love science fiction on TV, on the big screen, on the comics page, and in video game form, there’s just something irreplaceable about digging into a good book. There’s no shortage of new sci-fi adventures hitting shelves on a regular basis, but GFR is your one-stop shop to keep up with what’s hitting shelves in a given week. 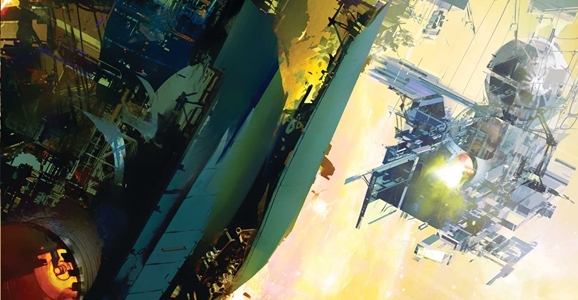 This week’s new book releases include a new installment of James S.A. Corey’s critically acclaimed space opera series The Expanse! 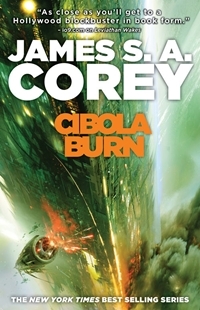 No, they didn’t move up the release of this summer’s fourth Expanse novel, Cibola Burn. 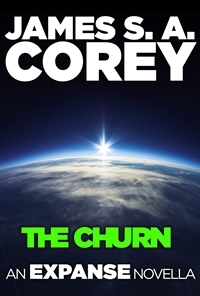 Instead we’ve got The Churn, a new novella set in the universe of The Expanse. Here’s what’s new on the Giant Freakin’ Bookshelf! 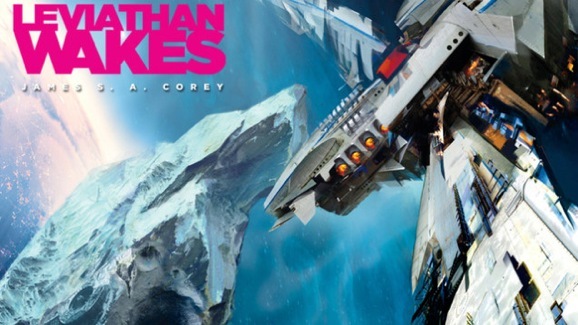 Set in the hard-scrabble solar system of Leviathan Wakes, Caliban’s War, Abaddon’s Gate and the upcoming Cibola Burn, The Churn deepens James S. A. Corey’s acclaimed Expanse series. Despite the fact that the network has become known in recent times as a repository of schlock-filled B-grade creature features like Sharknado and Sharktopus, Syfy has been making a serious push back into the original content game. 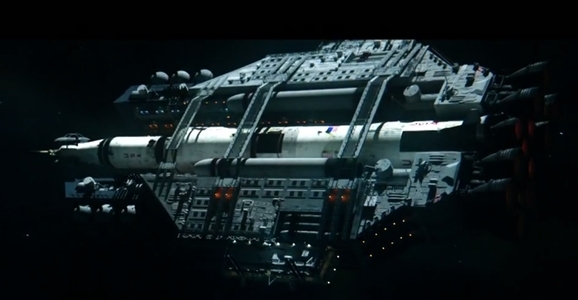 Their latest endeavor is a sweeping space-opera called The Expanse. Based on a series of novels by James S.A. Corey (the collective pen name of Daniel Abraham and Ty Franck, who will both serve as executive producers), The Expanse is set more than two centuries in the future. The action “follows the case of a missing young woman who brings a hardened detective and a rogue ship’s captain together in a race across the solar system to expose the greatest conspiracy in human history.” Syfy gave the series a straight to series order, and will team with Alcon Television Group to produce a first series of ten hour-long episodes.